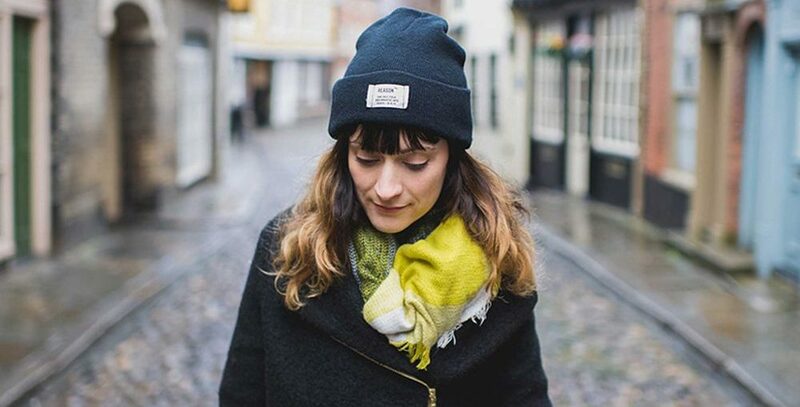 London-based Bryde aka Sarah Howells has released her debut album ‘Like An Island’ and is currently touring Europe. We caught up with her ahead of her gig at Sneaky Pete’s in Edinburgh. For those people who don’t know Bryde tell us a little bit about yourself? My name is Sarah and Bryde is the name of my solo project. I write all my songs on electric guitar ( a Burns Cobra), which is central to my sound. My songs are based on personal experience, relationships and are a cathartic outlet for any difficult or empowering experiences. Your debut album ‘Like An Island’ came out on13 April. How does it feel to have the record coming out? It’s an amazing feeling to let my songs out into the ether. I feel lighter now it’s released. It’s a strange feeling but a brilliant one. The response has been heart-warming. Tell us about the writing/recording process? I start all my songwriting by playing a guitar in a room and trying to work out interesting parts to then write melodies and lyrics over. The recording process involves me working with producers to create a sound that is uniquely mine but allows their influence and expertise to add something to the mix. You are releasing the album on your own label. What was the decision behind setting up the label? I started the label as a response to having learnt so much about self-releasing over the years. I saw that a few friends and acquaintances of mine had made some really strong music and wondered if I could get that music more exposure by using the experience, ideas and contacts I had gathered from my own campaigns in other bands. I had ideas, had learnt from tons of mistakes and triumphs and I wanted to help them. I was aware of the lack of woman visibly running things in the music industry and beyond so wanted to help with that by just being a woman running a label. It feels like an experiment at the moment. But one that is spawning really exciting results. You are looking to publish like-minded women on the label? Is there anyone we should be looking out for? All of our acts are making really interesting and eclectic music. Me For Queen aka Mary Erskine originally from Fife, has a new album coming this year which is reminiscent of This is The Kit, Regina Spektor and Laura Veirs. Multi-instrumentalist and programmer Rookes from Birmingham, just dropped her debut EP which is full of electro-pop bangers. Mere Child has more music coming too. She makes melancholic ambient music centred around acoustic guitar and her Joni-esque vocals. You’re hitting the road on a 34 date tour around Europe, including a night at Edinburgh’s Sneaky Pete’s. What should people expect from the live show? The live show is always more exciting and intense than the record. You can expect dynamics, drama and a bit of dancing. After the tour, are you planning any festivals in the Summer? We’re doing loads of lovely festivals this year. Latitude, Stanton Calling, Boardmasters are just some of our highlights. Can’t wait to play my album in a field.